In the summer of 2004, Rafaat founded Lifescience Dynamics. He had a vision of what would make an effective global decision support service, dedicated exclusively to pharmaceutical and biotechnology industries. It would have to be the best in class market research, competitive intelligence and market access, combined with first-rate people and a business model that met their clients’ global insight and foresight requirements. Lifescience Dynamics is privileged to boast an extraordinary worldwide customer base, with teams across the globe supporting firms of all sizes, from top 20 pharmaceutical companies through to smaller niche pharma and biotech firms. Rafaat prides himself in his dedication to his clients: “Revenue is important, but customer experience is even more crucial” is a motto reflected in everything the company does. Prior to founding Lifescience Dynamics, Rafaat was Vice President of a London-based consulting practice where he was responsible for numerous international projects for top 10 pharmaceutical companies, focusing on all aspects of the clinical development and commercialisation environments at US, European and global levels. 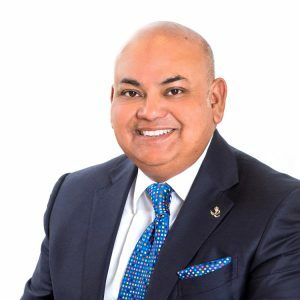 He has advanced knowledge of competitive intelligence, qualitative and quantitative market research techniques, market access, pricing and reimbursements. He has also previously worked for Eli Lilly & Company, Pepsi-Cola and McDonald’s in a management training programme.